Cheese crackers are popular snack treats. They are light, tasty, and addicting. 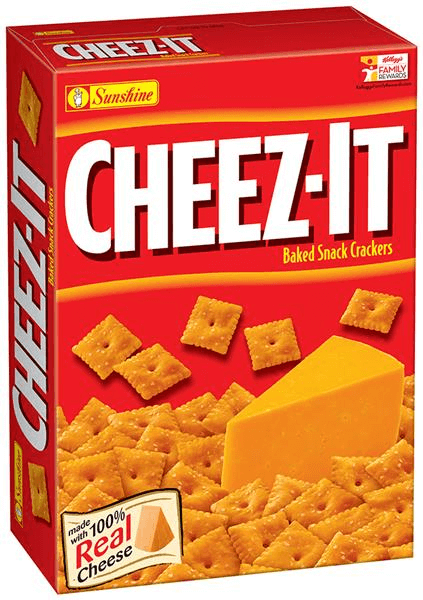 Two popular cheese cracker brands in the market are Cheeze-It and Cheese Nips. They are both baked snack crackers that are made with real cheddar cheese. Apart from the brand name and outer packaging, how are Cheeze-Its different from Cheese Nips? Read on and we’ll take you through the differences between the two brands. Cheeze-Its were first introduced to the market in 1921 by the Green and Green Company in Ohio. It was later acquired by the Kellogg Company and manufactured through its biscuit division, Sunshine. The crackers are made of wheat flour, cheddar cheese, vegetable oil, salt, and spices. Each cracker measures approximately 26 x 24 mm which makes it almost a perfect square cracker. Some people prefer Cheeze-Its and mentioned that they are cheesier and saltier than their closest competitor, Cheese Nips. Apart from Cheeze-Its’ original cheddar cheese flavor, the brand now comes in different varieties including the hot & spicy, reduced fat and the snack mix variants. Cheese Nips were introduced in 1955 and are currently manufactured by Mondelez International under the Nabisco Company. At present, the Cheese Nips brand is positioned as a competitor of Cheeze-It, as it is clearly stated in its packaging. Cheese Nips crackers are made of unbleached enriched flour, cheddar cheese, soybean oil, salt, and spices. Since its merger with Kraft, all Nabisco products, including Cheese Nips, are now made with Kraft cheese. 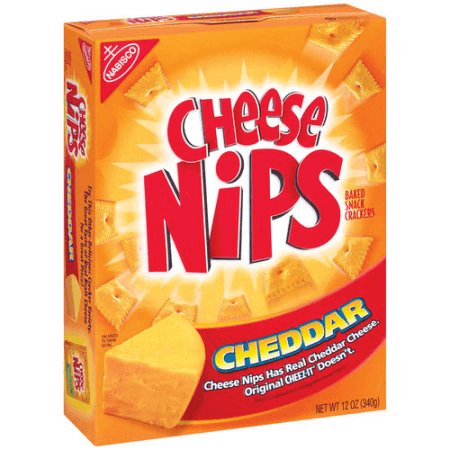 Cheese Nips come in cheddar, reduced-fat cheddar, and four cheese flavors. They are also known for selling cartoon character shaped versions of the product. These include Despicable Me, Angry Birds, Avengers, Spongebob, and Catdog. Those who prefer Cheese Nips noted that they like the brand for its more subtle and less salty taste. What is the difference between Cheeze-Its and Cheese Nips? Cheeze-Its are manufactured by Sunshine biscuits while Cheese Nips are made by Nabisco. In terms of inside packaging, Cheeze-Its come in clear plastic whereas Cheese Nips are in foil packs. Cheeze-Its are more expensive than Cheese Nips, costing almost twice as much. Consumers say that Cheeze-Its have a more cheesy and salty taste compared to the subtle flavor of Cheese Nips. Also, Cheese-Its are nearly square whereas Cheese Nips come in squares and cartoon-character shapes. Watch this video for a detailed comparison of Cheeze-Its and Cheese Nips as well as a blind taste test.